After 40 years ASEAN members are still struggling to create a sense of solidarity. The Association of Southeast Asian Nations (ASEAN) has plans to fast track the integration of its member countries over the next few years. Aside from encouraging cooperation through traditional diplomatic and cultural activities, there are also ambitious proposals for ASEAN to issue a single visa and currency, and even form a united regional Olympic team. The advantages of a united ASEAN are easy to imagine. A cohesive ASEAN would likely bring tremendous benefits to Southeast Asians in the forms of more jobs, more tourists, stronger defense forces and improved camaraderie among competing neighbors. Besides, who would oppose the idea of unity and greater economic coordination in the region? But ASEAN’s basic problem is not merely an absence of unity. Wasn’t unity the main objective of ASEAN when it was established in 1967? The fact that after four decades, the group is still pushing to integrate its ten member countries suggests a pretty significant failure to foster solidarity in the region. Without undermining the laudable efforts of the ASEAN Secretariat, many doubt it can realize the One Community vision by its announced target date of 2015. How can it, if it continues to use the same approach that has singularly failed to unite its members to date? 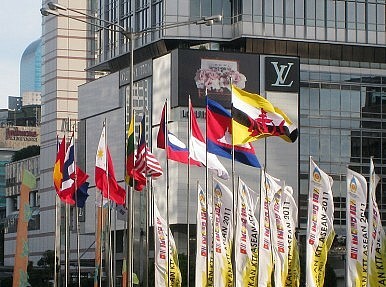 ASEAN unity will remain an impossible vision as long as its members continue to demand it for the wrong reasons. In truth, each member nation views its association with ASEAN as a means to pursue its national interests. Sacrificing the national agenda to realize the regional good is largely an alien concept to ASEAN members. Member nations are in favor of unity as long as it doesn’t conflict with their respective national objectives. To be sure, ASEAN has successfully coordinated aid and relief efforts when natural disasters have devastated the region. But the group should be more than the region’s answer to Red Cross. But such instances are usually when ASEAN unity is invoked, namely, when a member is overwhelmed by a problem it can’t solve or when it is affected by a neighbor’s woes. Today, for example, we hear demands for ASEAN to intervene in Burma’s Rohingya Dilemma, maritime disputes in the South China Sea or West Philippine Sea, and human trafficking across the region. ASEAN’s next step will most likely be to decide whether to issue a joint statement to address these issues. In the absence of disasters, and in between ministerial conferences, however, ASEAN has failed to engage in the essential task of building regional unity. ASEAN hasn’t even been able to prevent members from accusing each other of being bad neighbors. East Timor’s attempts to join the club have been blocked by Singapore, among others, which view its entry as a threat to their national interests, although the reason given to the public is usually East Timor’s internal conflicts. Ultimately, ASEAN’s unwillingness to form a more united and powerful regional grouping has been exploited by global powers like the United States, China and Japan, which are aggressively promoting their geopolitical interests in the region. A unified ASEAN could challenge the political and economic resources of these big nations. Instead, each ASEAN member has preferred to negotiate individually. It’s tragic enough that ASEAN is not united. It’s more tragic to hear ASEAN members articulate and advance the interests of non-ASEAN superpowers during ASEAN summits. At the minimum, a united ASEAN could prevent colonial powers old and new from dominating the region. But that’s just a start. After asserting its independence, it would be great to see ASEAN aspire to become a global power in its own right. With this vision in mind, perhaps it’s time to unite and promote the Southeast Asian way of life as a viable alternative to the world. LGBT Tourism and Inclusion in Southeast Asia: A Divided Future?What Does Indonesia’s Own Indo-Pacific Strategy Look Like?Asian Geopolitics in 2018: What to Worry About and What to ExpectTimor’s Politics: New Government, New Hope Amid UncertaintyCan a North Korea Nightmare Fuel South Korea’s ASEAN Dream?